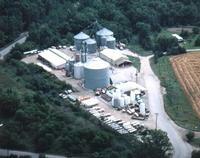 Brown Milling started as a mobile feed grinding service in 1965. 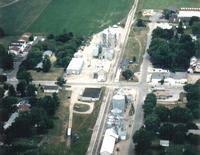 Brown Milling worked to further expand it's services into the fertilizer business in 1970 at it's Delwin, Michigan location, which is still the main office today. The acquisition of Rosebush Feed & Grain in 1983, Superior Fertilizer in 1987, and Shepherd Elevator in 1991, have boosted Brown Milling into the position of being the supreme agriculture provider in Isabella County, Michigan. Brown Milling has always strived to be the best full service farm supply provider for it's customers while also providing the finest service. For aerial photos of all of our locations, please see our photo gallery. For more information about Brown Milling, please contact us.